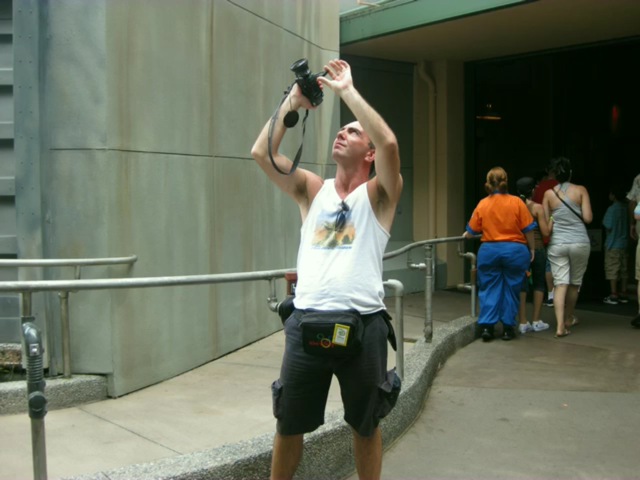 Take Walt Disney World history lessons from Martin Smith videos! No matter how many books you’ve read or seminars you’ve attended, even the most well-versed Disney parks aficionado can learn something from a Martin Smith video. For those unfamiliar, Smith gathers as much footage as he can (mostly shot by him), and chronicles the history of a Disney attraction from concept phase to construction and even how the final product has changed over the years. His latest is nearly a full-length movie in itself. Martins Ultimate Tribute to The Great Movie Ride chronicles the origins of the attraction, gives a full map of how the ride is laid out and even chronicles how the attraction has changed over the years, including the current version sponsored by TCM. A great job as always, which includes mostly source audio tracks and HD video. A shorter film, Smith’s tribute to The Country Bear Jamboree also talks about the origins when Walt wanted to create a ski resort in Mineral King, California. Originally, this show was going to be a part of the nighttime entertainment for a unique Disney destination that never came to be and was adapted for theme park use. Great stuff! One of my favorite extinct attractions is The Timekeeper, voiced by the late Robin Williams. I challenge you to find more information on the attraction’s history anywhere than included in the video above. Seriously amazing stuff, including behind-the-scenes footage on how the film was shot, blueprints, and more. Finally, the cherry on top. A loving tribute to what is known to most fans as Walt’s most personal attraction, the Carousel of Progress. An amazing history lesson why the attraction got moved to Walt Disney World, where it was going to go, changes in script and music… it’s incredible. There are pieces of audio I have never heard before and I’ve studied this attraction since I was a kid! Enjoy! Martin Smith films, edits and designs these videos out of his love for theme parks and attractions… for free. He doesn’t sell the videos or make any ad revenue. Do me a favor, drop over to his Ultimate Tribute Facebook page and drop him a line and thank him for taking the time, energy and resources to put these videos together. Seriously, you can’t buy this kind of history lesson. Literally. This entry was posted in Disney and tagged carousel of progress, Country Bear Jamboree, disney history, Great Movie Ride, Martin Smith. Bookmark the permalink. Trackbacks are closed, but you can post a comment.